The client, however, dodged a bullet. Buy-sell agreements are enforced by the courts in judicial dissolutions, oppressed shareholder actions and limited liability dissociations. See Buyout Agreement Enforced. It is something that the principals of a closely held business should look regularly. In point of fact, one of the valuation provisions in buy-sell agreements that I have seen on a number of occasions contain language to the effect that the value of the business is to be determined by the company’s accountants on an annual basis. There are lots of problems with that approach — not the least of which is that your company CPA is unlikely to have the expertise to give an accurate appraisal of the business — but the biggest one is that it is easy to forget until a problem comes up. Another issue that is seen in buy-sell agreements is the failure to value good will. It seems appropriate at the time that the business is being formed because, well, no one knows any better. Yet when one of the owners leaves, it will seem palpably unfair to not include the good will of the business in the purchase price. Don’t value using formula prices, rules of thumb or internally generated valuation metrics. Define the standard of value clearly. Decide the “level” of value, i.e., are there discounts based on majority/minorty positions or other circumstances. Set the valuation date clearly. The classic car world is full of stories of “barn finds” – valuable cars that were forgotten in storage for decades, found and restored and sold for mint. 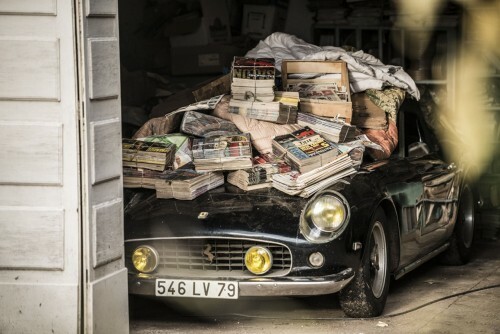 One of the most famous is pictured above, a Ferrari 250 GT SWB California Spyder once owned by a French actor and found in a barn on a French farm in 2014. The car was one of 36 ever made and one of the most valuable Ferraris in existence. Once the Ferrari was exhumed, it was lightly cleaned and sold, basically as found, for $23 million at auction. As difficult it is to imagine such a valuable car being forgotten, what we see more commonly are forgotten buy-sell agreements, collecting dust in desk drawers. Unfortunately, these contracts often turn into liabilities, instead of assets, once they are exhumed, as the words on the page frequently commit the signatories to obligations long forgotten.